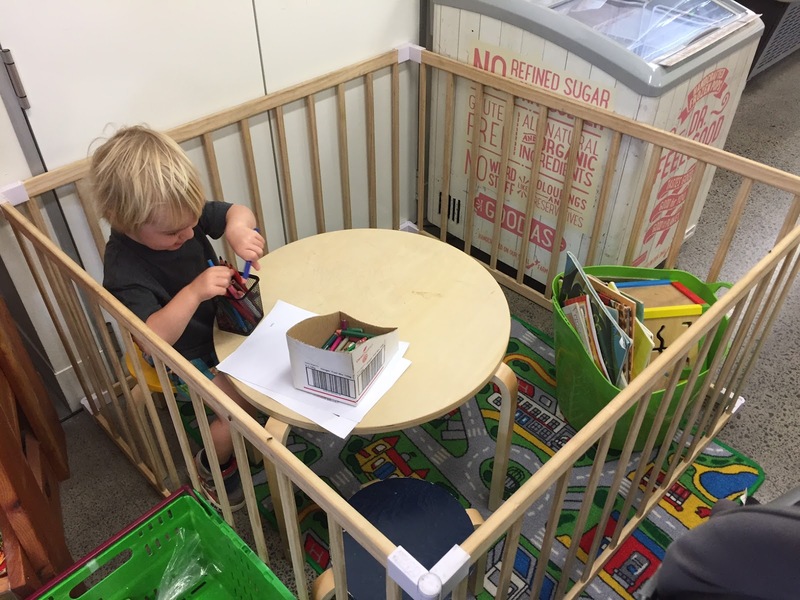 J drawing in the kids' space at Commonsense Organics. 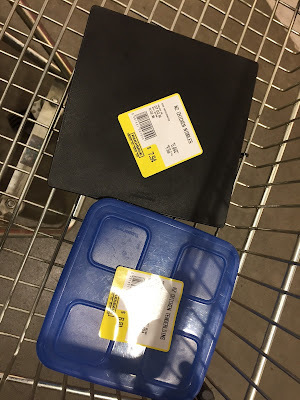 Today I want to update you on how my transition to zero waste is going as I've had lots of questions about it. If you read my zero waste announcement post a couple of weeks back, you'll know we are still producing a normal amount of rubbish while we use up the pre-packaged items already in the house. From the trash collector's perspective, our house is far from being zero waste. I've slowly been trawling around the stores near us, finding out what's available to buy without packaging. The only meat I've bought in the past two weeks has been deposited directly into my own containers at Pak'N'Save and Countdown. I plan to visit my local butcher to see if they'll do the same. I spoke to an assistant at the Countdown deli who is going to ring me when their bulk cheese delivery comes in so I can bring a container down and get it filled up before the cheese gets wrapped in plastic. Win! The deli is a fantastic zero waste resource, full of cured meats, olives, sundried tomatoes, cheeses, etc. I bought loose marinated feta cheese there today for salads and a quiche I plan to make. 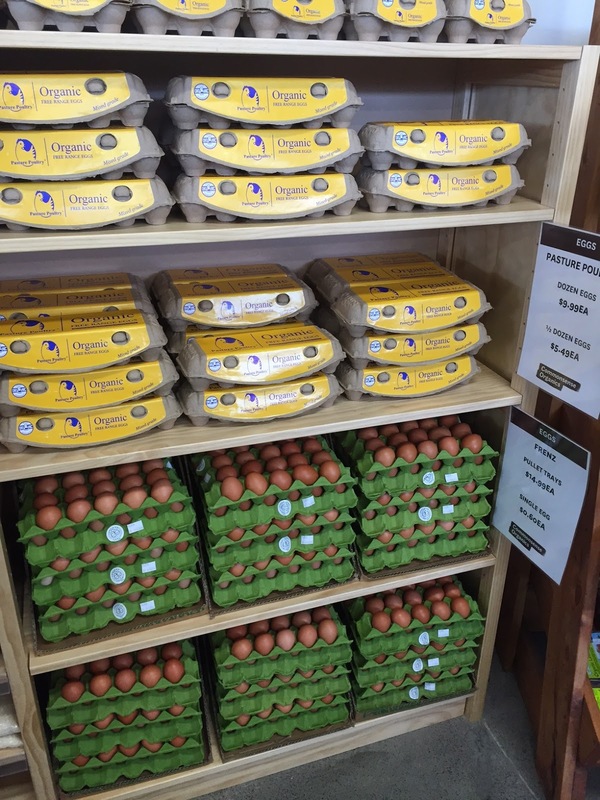 Commonsense Organics sells eggs loose, so I can bring in my own egg cartons and get them refilled. Last week Bakers Delight pre-sliced two of its lovely Chia seed loaves and deposited them into my own cloth bags. I transferred them into large containers when I got home and popped one in the pantry and one in the freezer. That worked so well I did it again today. Buying two loaves gives you a discount too, and the loaves are bigger than an ordinary bread loaf from the supermarket. The girl behind the counter today asked why I was using my own bags, and it felt good to be able to say we are trying to get rid of our rubbish bin. 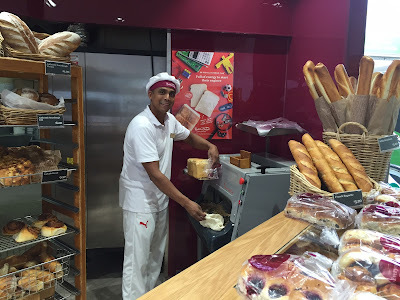 Lots of shops contain bulk bins selling nuts, beans, seeds, grains, flour, popcorn, dried fruit, even pre-made snacks, so there are lots of options around for meal bases, baking and lunchbox fillers. 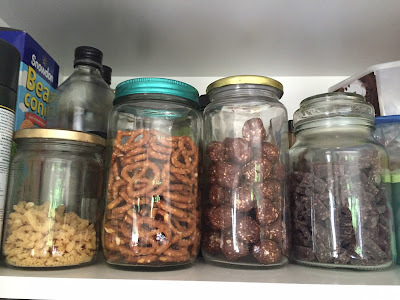 I'm actually not trying to buy too much food at the moment, besides weekly staples, fruit and vegetables as I want to eat through our food stores and change the way I stock our pantry. I've always been an over-buyer of food - stocking up when things are on special and letting them sit in the pantry for months. I want to move to a weekly food model where we eat down all the food I buy in that week. The exception will be any fresh produce I buy to can/freeze while it's in season. Today, for example, I bought a huge box of slightly bruised bananas for $6 from our fruit and vegetable store. I've frozen them all in containers in the freezer to pull out for making smoothies and baking. We haven't found a good milk option yet. I make almond milk for myself, but my husband and kids love drinking regular cows' milk, plus I use a lot of milk powder for making baby bottles, kefir, yoghurt and buns. At the moment this one is in my consume-as-normal list, but I will keep thinking about it to see if I can reduce or change our consumption. Today I visited the ecostore shop, bringing in my empty bottles and getting some of them refilled. I was disappointed that powdered items couldn't be refilled, like dishwashing powder and laundry powder. I did buy liquid laundry soap, dishwashing liquid, condition and glass cleaner though. It was fun to finally visit the store I read so much about in ecoman. I also noticed ecostore sells loose soap, plus a range of wooden (ie. compostable) cleaning brushes like toilet brushes (with stand) and dish brushes. Last week I bought two sets of cloth napkins from a Hospice shop so we could lay the table with them at dinner time and use them for spills and wiping sticky fingers. This is an improvement for us because we used to grab disposable tissues to wipe up messes. Now we have one less trash hemmorhage and I've discovered there is something so nice about using cloth napkins. Dinner feels like more of an event now. I love it. Nappies are our biggest waste product, so I put S in knickers at night for a week to see if we could get rid of her night-time nappies. No good. She wet the bed more than she didn't and by the end of the week I was exhausted. She's back in night-time nappies until we run through her current supply and then we'll try again. Baby J, on the other hand, has been doing really well with his day-time toilet training, and has surprised me by being able to wee on demand on the toilet. I've taken him out quite a few times in undies now, and he's done really well. He is still in a night-time nappy, and goes into a nappy when I can't be there to help him with the toilet (at creche for example when I'm exercising at the gym), but we have reduced his nappies from three to one/two in a 24-hour period. I'll take any improvement I can get! 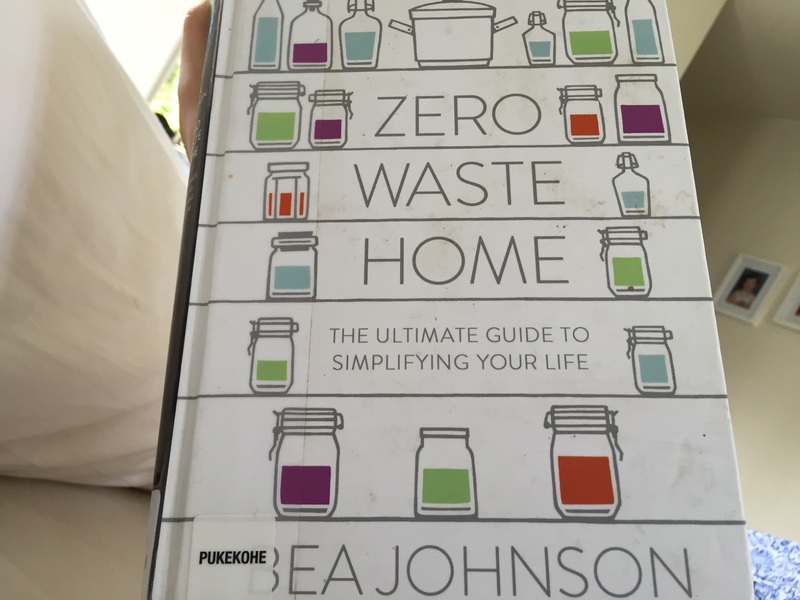 This week I read Bea Johnson's gorgeous book, Zero Waste Home. Wow! If you want to learn more about going zero waste, this book is a treasure trove of useful information. I got it out from the library so I know it's available to borrow in Auckland at least. I'm holding on to my copy for a bit longer because I want to jot down some of her clever recipes before I return it. Glue, paper, mascara and cleaning products are just some of the things she has learned to make herself. 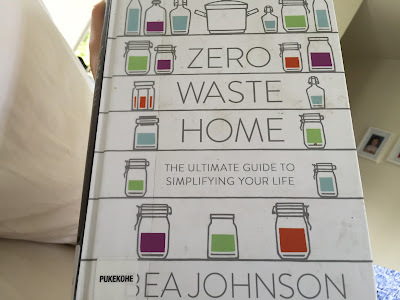 Speaking of Bea Johnson, I'll leave you with her advice for approaching zero waste. And only in that order. If you don't bring it into your house to begin with, you won't have to think of a way to dispose of it. How are your zero-waste endeavours going? I know one friend has gone plastic-free for Lent. Anyone else doing something similar? What are your tips for us? Oh great, I didn't know Bin Inn sold bulk milk powder. That's handy! Nice work Emma! We don't use paper towels anymore. I bought a bag of old hotel towels and cut them into cloths. We use thrm for everything and just chuck them in the wash. Make more as they wear out. I was so happy to stop buying paper towels! That's great Maree. It's so good to hear about business owners encouraging their customers to reuse.